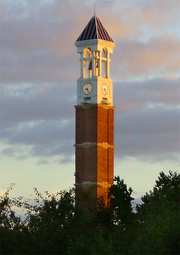 Purdue University, located in West Lafayette, Indiana, United States is the flagship university of the six-campus Purdue University system. Purdue was founded on May 6, 1869, as a land-grant university when the Indiana General Assembly, taking advantage of the Morrill Act, accepted a donation of land and money from Lafayette businessman John Purdue to establish a college of science, technology, and agriculture in his name. The first classes were held on September 16, 1874, with six instructors and 39 students. The university was founded with the gift of $150,000 from John Purdue, a Lafayette business leader and philanthropist, along with $50,000 from Tippecanoe County, and 100 acres (0.40 km2) of land from Lafayette residents in support of the project. In 1869, it was decided that the new school would be built near the city of Lafayette and established as Purdue University, in the name of the institution's principal benefactor. The West Lafayette campus offers more than 200 majors for undergraduates, over 70 master's and doctoral programs, and professional degrees in pharmacy and veterinary medicine. In addition, Purdue has 18 intercollegiate sports teams and more than 900 student organizations. Today, Purdue is a member of the Big Ten Conference. Purdue enrolls the second largest student body of any university in Indiana as well as the fourth largest international student population of any university in the United States. In 1865, the Indiana General Assembly voted to take advantage of the Morrill Land-Grant Colleges Act of 1862, and began plans to establish an institution with a focus on agriculture and engineering. Communities throughout the state offered their facilities and money to bid for the location of the new college. Popular proposals included the addition of an agriculture department at Indiana State University or at what is now Butler University. By 1869, Tippecanoe County's offer included $150,000 (equivalent to $2.7 million in 2015) from Lafayette business leader and philanthropist John Purdue, $50,000 from the county, and 100 acres (0.4 km2) of land from local residents. On May 6, 1869, the General Assembly established the institution in Tippecanoe County as Purdue University, in the name of the principal benefactor. Classes began at Purdue on September 16, 1874, with six instructors and 39 students. Professor John S. Hougham was Purdue's first faculty member and served as acting president between the administrations of presidents Shortridge and White. A campus of five buildings was completed by the end of 1874. Purdue issued its first degree, a Bachelor of Science in chemistry, in 1875 and admitted its first female students that fall. Emerson E. White, the university's president from 1876 to 1883, followed a strict interpretation of the Morrill Act. Rather than emulate the classical universities, White believed that Purdue should be an "industrial college" and devote its resources toward providing a liberal (or broad) education with an emphasis on science, technology, and agriculture. He intended not only to prepare students for industrial work, but also to prepare them to be good citizens and family members. 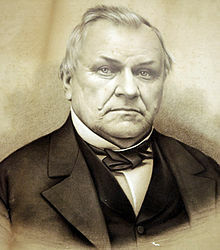 Part of White's plan to distinguish Purdue from classical universities included a controversial attempt to ban fraternities. This ban was ultimately overturned by the Indiana Supreme Court and led to White's resignation. The next president, James H. Smart, is remembered for his call in 1894 to rebuild the original Heavilon Hall "one brick higher" after it had been destroyed by a fire. What are the academic rankings for Purdue University? 1. number 57 for Academics. 2. number 20 for ROI (Return on Investment). What universities are similar to Purdue University?